My girlfriend helped me Friday….only took about 30 minutes. Milestone in this project! I still have a lot to do….but making progress! 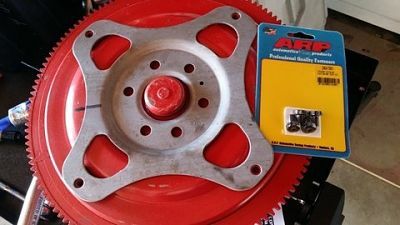 It seems they come in 10″ and 11″ bolt patterns as well as symmetrical and non-symmetrical bolt patterns to bolt it to the engine. At least they are inexpensive. 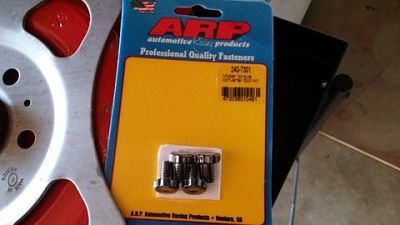 Here is the NEW flex-plate and some ARP bolts. So – it looks like the engine will go back in the car this Saturday! It’s Flag Day. In my little corner of suburbia the whole block has their flags out today – I LOVE IT! It’s a beautiful sight! 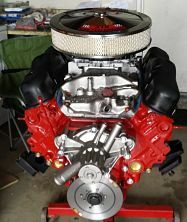 Engine is ready to go back in! 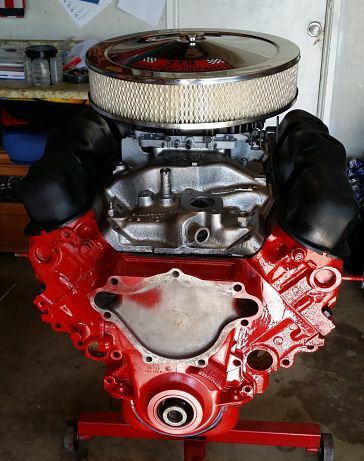 Friday is the big day….the engine is ready to go back in the ‘Cuda. Looks pretty good if you ask me! 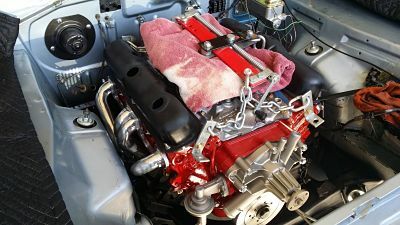 The plan is to set the headers in and tie them back, then slip the engine in-between. I did this with my Corvette and it worked out great. 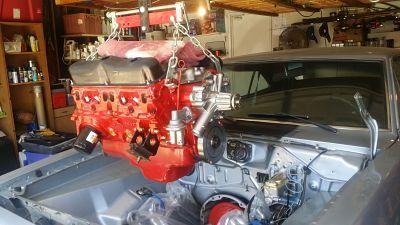 The engine is mostly assembled and I should have it back in the car in a week or two. After it’s back in there’s still a lot to do before I can start it. But at least it will be back in the car!